I like to say I don't just sing cowboy songs but I sing songs cowboys like to listen to. There are a ton of folks out there that are living the cowboy life right now. It's only natural that their stories be recorded in song. 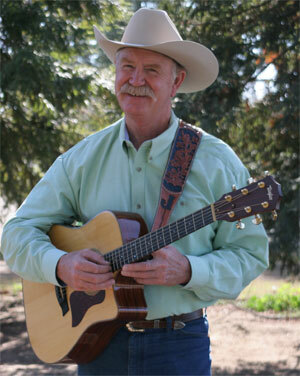 Cattleman, horseman, and musician, J Parson not only sings about the West—he lives it. He grew up in Bakersfield, CA and has worked in the ranching business for most of his life. At various times he has run cattle from the Carrizzo Plains to the Mojave Desert in California. 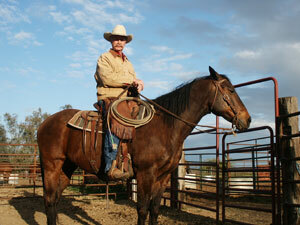 He also raises quality ranch horses and has been involved in the farming business in the San Joaquin Valley. J now splits his time between his ranch in California and his farm in southeast Kansas. 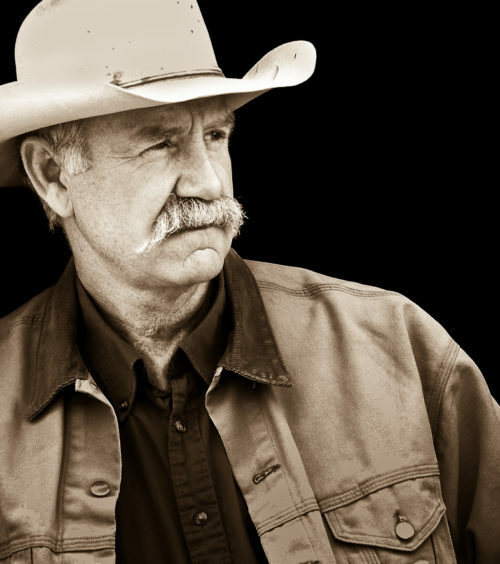 Drawing on his personal experiences of life on the ranch as well as his deep respect of the all-time greats — Buck Owens, Merle Haggard, Marty Robbins, and Waylon Jennings — J creates an authentic cowboy and old-time country music sound that has been widely appreciated throughout the West. Whether he is performing traditional Cowboy standards, good old honky tonk tunes, or songs that are all his own, his listeners not only hear the music, they feel it, and appreciate it. "It's the real thing and I plan on keeping it that way." It used to be that you might have only heard J sing a song after a branding, at a wedding, or possibly at some small gathering of friends and family. It was those close to J who told him he really ought to do something with that talent. But ever the practical rancher J kept his focus on his business. "Now a question that I hear a lot is where in the world did you learn to sing like that? And I tell them holding on to the steering wheel of my pickup and singing along with the radio." 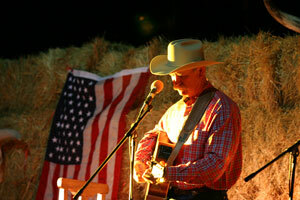 Bakersfield , California provided a great setting for young J to have a built-in country music background. "Buck Owens and Merle Haggard hit it big in the sixties when I was just a kid and at the time I never thought about how important that really was. But even now, wherever I perform, when people hear that I'm from Bakersfield, folks of all ages always say how much they like those guys and the Bakersfield sound. Buck and Merle aren't exactly what you would think of as cowboy singers but the stories they tell in their songs and the passion that can be heard have a great similarity to what is important in a good cowboy song." Other big influences on J were Waylon Jennings, Johnny Cash, Bobby Bare, and of course Marty Robbins. "I don't think anybody has ever done a cowboy song any better than Marty Robbins." Songwriting as well as performing has become a real passion for J in recent years. With his cowboy lifestyle coupled with the old country sound, he creates songs that reflect his own stories as well as the experiences of others. "I like to say I don't just sing cowboy songs but I sing songs cowboys like to listen to. Most of what I write is about real life situations that are part of the current time in which we live because that's what I know. To qualify as a cowboy song doesn't mean that the topic of the song has to be about something that happened a hundred years ago. Those old songs were written about current events that happened at that time. I love those old songs and I sing them all the time but there are a ton of folks out there that are living the cowboy life right now. They have important things that are happening to them right now. It's only natural that their stories be recorded in song." I have surprised quite a few old friends with my singing. They had no idea that I could sing and that folks would actually like it. It's always fun to watch their expression of total surprise when they watch me perform. Although J started rather late in life, when it comes to performing for audiences he is making up for lost time in a big hurry. He has performed throughout the west including California, Washington, Wyoming, Nevada, New Mexico, Kansas, Texas, and Tennessee. 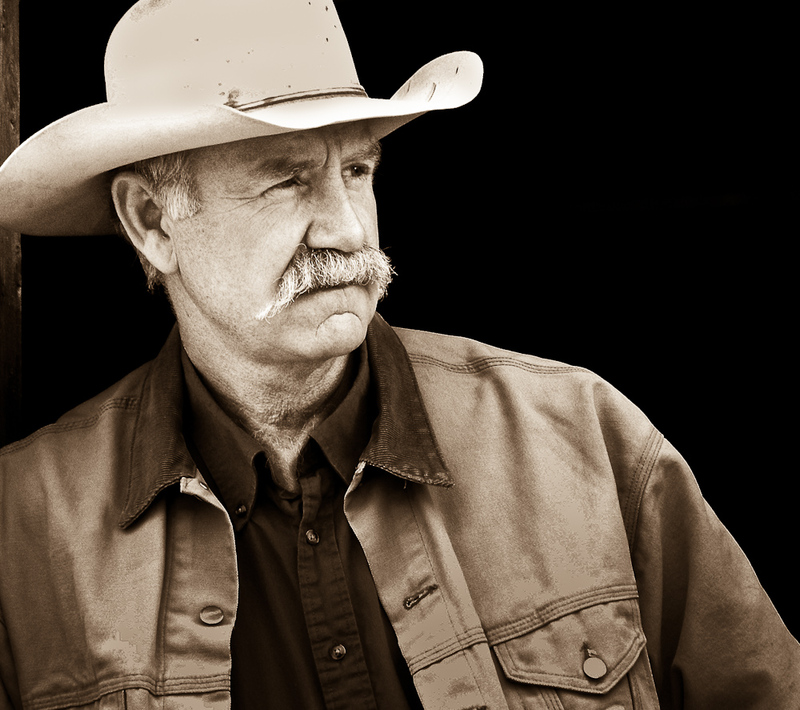 He was a featured performer at the 2007 Cowboy Gathering in Elko, Nevada and received great reviews. He can be seen each week performing music on the RFD TV network show "Cowboy Flavor" while his friends Billy and Sue Ruiz demonstrate their outdoor cooking expertise. He was also recently featured by his good friend Chris Cox on his RFD show. He has appeared at several of Chris' horsemanship tour stops around the country. "These people are my friends and the opportunity that they have given me is unbelievable. I will forever be thankful for their generosity and proud of their friendship." "There is nothing else that I have found that is as gratifying as watching an audience respond to the music that I have to offer while I am performing. To watch their faces and their eyes and see that I am having a positive impact is so rewarding I don't know how I got along without it for so long. Recently a fellow who had obviously been around came up to me after a performance and told me 'You are the voice of the West.' That is such a fine compliment and I'd like to think for just a while he was right."